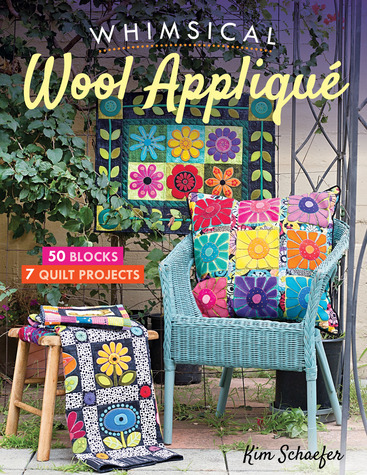 Cozy up to wool applique with fifty colorful garden blocks to mix and match! Best-selling author Kim Schaefer shares seven easy fusible applique projects to teach you embroidery basics or to bring your hand stitching to the next level. Layer luscious butterflies, birds, and flowers of wool on top of cotton fabric, then add the embroidered finishing touches to whimsical quilts, pillows, and home decor projects.